It was a happy and joyous day in Windsor today. As we expected, Charlotte and George looked just charming for their Uncle Harry’s wedding to Ms. Meghan Markle. 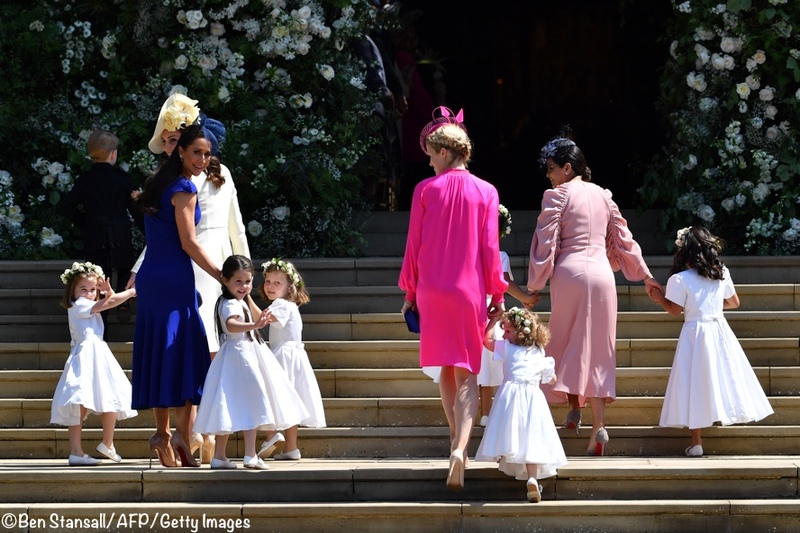 Below we see the young bridesmaids arrive on the front steps of St. George’s Chapel with the help of the bride’s best friend and stylist, Jessica Mulroney. Ms. Mulroney is in blue and holding the hand of her daughter, Ivy (4); Catherine, Duchess of Cambridge is tucked just behind Jessica, with Charlotte and Florence van Cutsem (3); Zalie Warren (2) is with her mother in bright pink; and Benita Litt is seen to the right, with her daughters, Rylan (7) and Remi (6). What a nice Saturday surprise: new photos of Prince Louis, including one with Princess Charlotte! 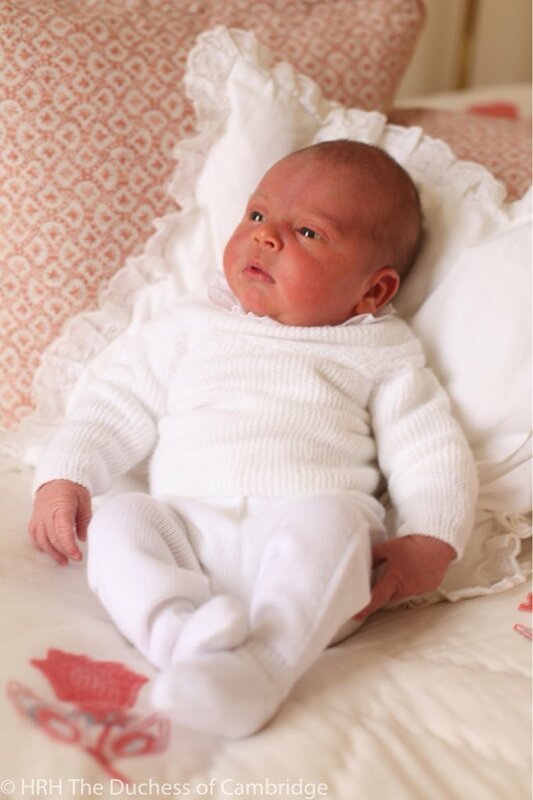 The pictures were taken by the Duchess and released this weekend. Kensington Palace says the photo you see above was taken on April 26th at Kensington Palace. 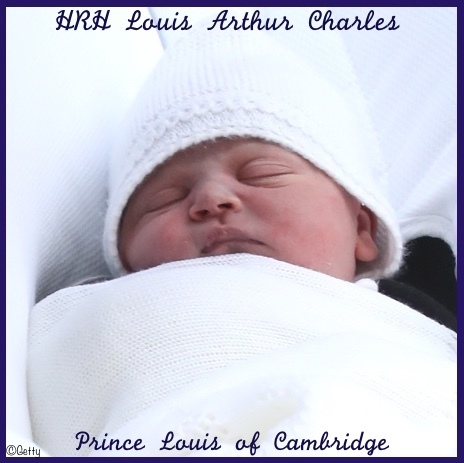 In the second photo we see Charlotte holding Prince Louis and giving him a kiss on the head. Kensington Palace says this picture was taken on Charlotte’s birthday, May 2nd. Happy 3rd Birthday Princess Charlotte! We are back with a post for Charlotte’s 3rd birthday looking at some of her cutest photos, along with an update on her Little Alice London dress. But first, Happy Birthday Princess Charlotte! We hoped to have a new picture released to mark the occasion, but that was not the case. Here is the Kensington Palace tweet for the day, thanking those who have sent birthday greetings. The same image and message was shared on the Palace Instagram account. 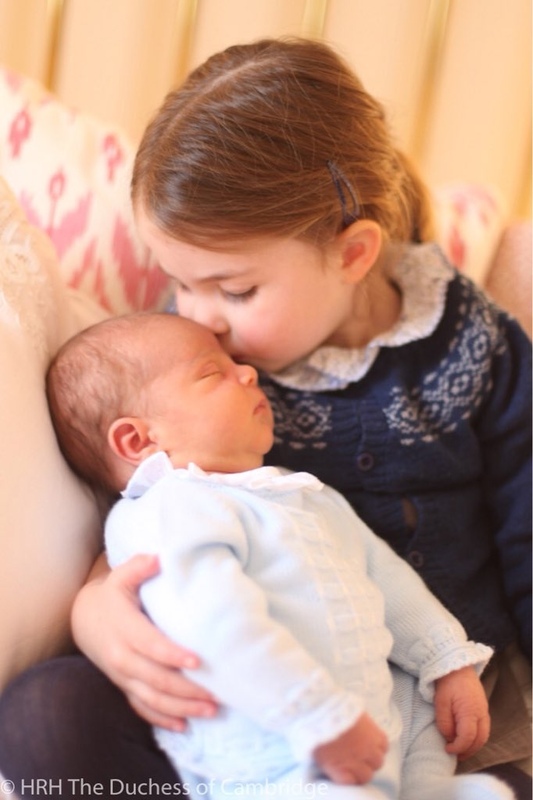 Prince George and Princess Charlotte Have a Little Brother! 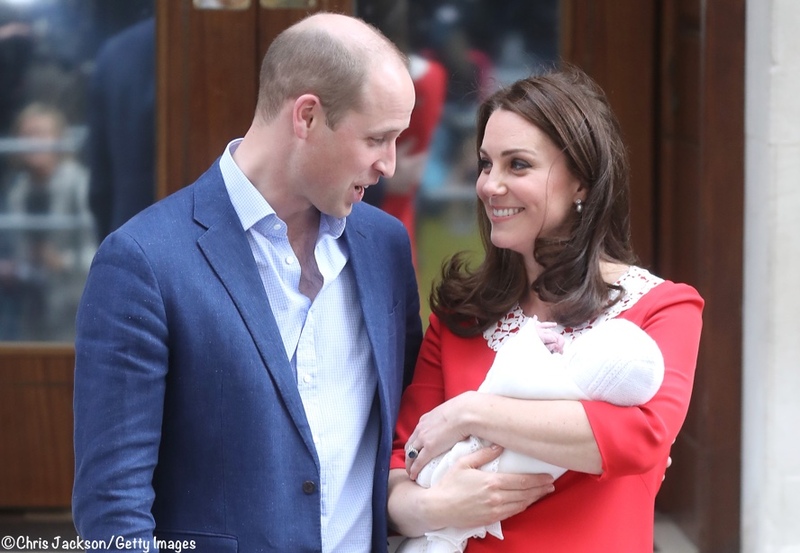 And now there are three children in the Cambridge family.